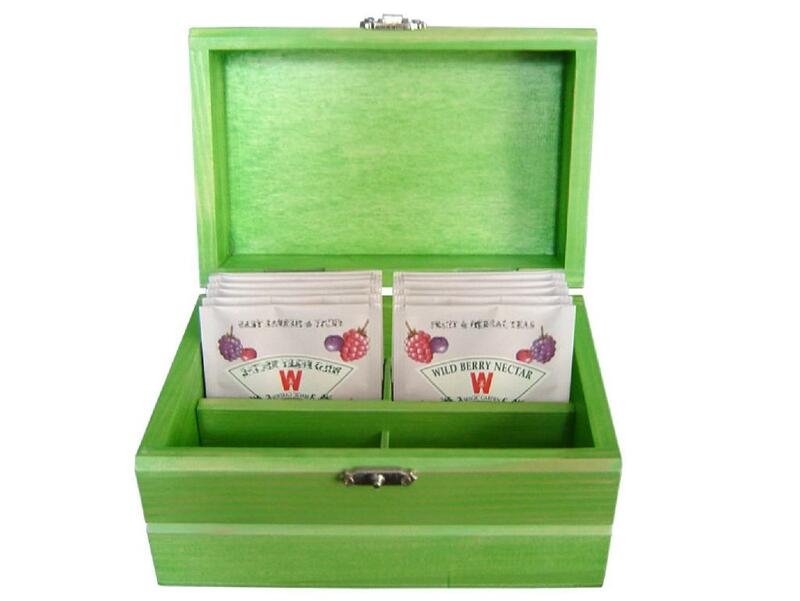 This quaint little wood tea box is fun to use. Satin wiping stained with a green tinted inside and out, this small tea packaging box holds just enough tea bags for a small gathering, 32 bags. 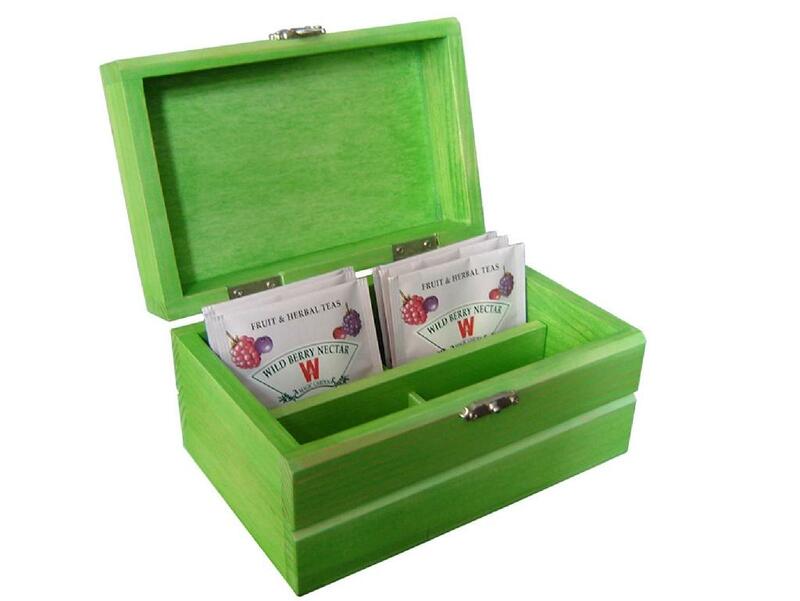 Equipped with 120 degree silver hinges and an elegant clasp in the front, this tea box is quite eye-catching. Logos can be silkscreen imprinted on the box if you desire. At Extreme Enterprise, our skilled craftsmen are committed to producing higher quality products, at a much more reasonable prices than our competition.